Global Fund for Women Nigeria: Global Fund for Women has been supporting organizations in Nigeria and around the world for over 25 years. Their mission is to advance the rights of women and girls by increasing the resources for and investing in women-led organizations and women’s collective leadership for change. With the news of over 300 girls kidnapped from their schools in Nigeria in April 2014, Global Fund for Women created a rapid response fund. This Fund supports women-led organizations in Nigeria and the surrounding region to stand up against trafficking, abductions in conflict settings, violence against women, and child marriage, and works to ensure girls are safe in school and able to get an education. Madonna’s Support: Madonna and the Ray of Light Foundation support the Global Fund for Women to create safe spaces for girls and women to meet and not be at risk of being harassed or abused, support groups to collectively organize and petition the government, and assist girls with counseling and other services. Mercy Corps Philippines: Mercy Corps is an international development organization that helps people around the world survive and thrive after conflict, crisis and natural disaster. 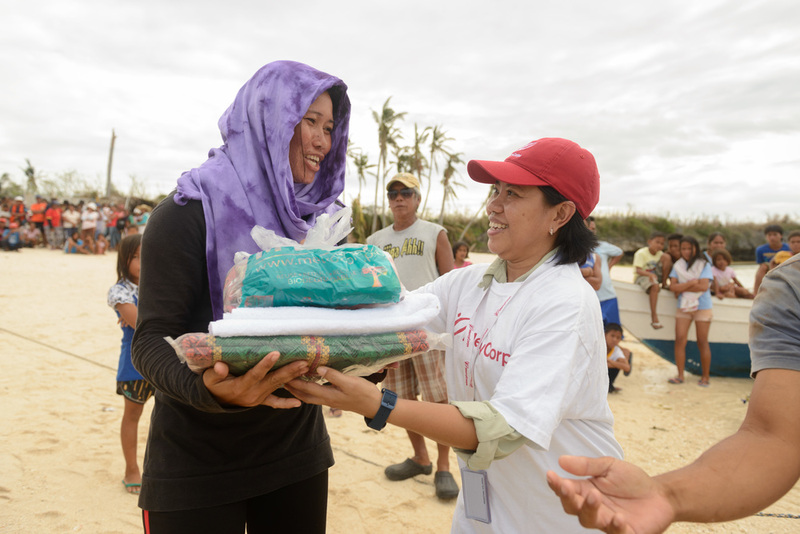 In the Philippines, Mercy Corps is helping survivors recover after the devastating Typhoon Haiyan, which killed thousands of people and left four million people displaced in November 2013. Mercy Corps is also providing innovative financial products to low-income families. Madonna’s Support: Immediately after Typhoon Haiyan hit the Philippines, Madonna and the Ray of Light Foundation provided financial support to Mercy Corps to help survivors meet their basic needs and begin rebuilding after this disaster. Madonna’s Support: Madonna and the Ray of Light Foundation are supporting ANERA’s emergency humanitarian assistance services in the Gaza Strip, Palestine by helping procure and deliver supplies for 1,500 women who have been displaced from their homes by the conflict. UNICEF: Since the end of January, an estimated 174,000 people had been displaced due to heavy floods in Malawi. Over half of those affected are children, and one fifth are under the age of five. The floods have caused extensive damage to crops, livestock and infrastructure including schools and health facilities. Of the 19 high-risk districts, 17 were food insecure in 2014 with families having access to only one meal a day for a four-month period. Furthermore, about two-thirds of the 28 districts in Malawi are prone to cholera and there is an ongoing need to strengthen control efforts, particularly given the seasonal flooding. Key priorities include shelter, ensuring access to adequate water and sanitation facilities, provision of basic health care, hygiene promotion, disease prevention, and support to continued learning, psychosocial support and protection of affected children. Working with partners, UNICEF plans to enroll 24,084 of children affected by severe acute malnutrition in treatment; support 105,000 affected people to gain access to safe water through household water treatment with information pertaining to hand-washing with soap at critical times; and ensure vulnerable children and women have access to child protection services and essential health services. Madonna’s support: Madonna and Raising Malawi are providing financial support to the UNICEF’s efforts to bring essential supplies and shelter to Malawians affected by the floods.